1.What best describes an IAM role? A. A role is used when configuring multi-factor authentication. B. A role is a policy that determines an IAM user’s access to AWS resources. C. A role is something that a user, application or service can “assume” to receive temporary security credentials that provide access to a resource. D. A role is a policy that is applied directly to an AWS resource, such as an EC2 instance. 2.You work for a large consulting firm that has just hired a junior consultant, named Jessica, who will be working on a large AWS project. She will be working remotely and, therefore, is not present in the office. You create a new IAM user for her named “Jessica” in your company’s AWS account. On Jessica’s first day, you ask her to make a change to a CloudWatch alarm in an Auto Scaling group. Jessica reports back that she does not have access to CloudWatch or Auto Scaling in the AWS console. What is a possible explanation for this? A. Only IAM account admins can make changes to Auto Scaling groups. C. You have not added the appropriate IAM permissions and access policies to her IAM user. D. When you created the new user, you forgot to assign access keys. 4.When requested through an STS API call, credentials are returned with what components? A. Retrieving data from an ElastiCache cluster. 6.You would like to use STS to allow end users to authenticate from third-party providers such as Facebook, Google, and Amazon. What is this type of authentication called? 7.Which of the following is NOT required as part of AWS’s suggested “best practices” for new accounts? 8.You have hired an engineer, Kathy Johnson, and have created an IAM user for her in the company’s AWS account. She will be overseeing the company’s DynamoDB database, so you attached the “AmazonDynamoDBFullAccess” IAM Policy to her IAM user. Six months later, Kathy was promoted to a manager and you added her to the “Managers” IAM group. The “Managers” group does not have the “AmazonDynamoDBFullAccess” policy attached to it. What will happen to Kathy’s DynamoDB access? B. Nothing, as an IAM user can have multiple IAM permission policies attached to them at the same time, either directly to the user or through an associated IAM group. The multiple policies are combined and evaluated together. C. Only one IAM policy can be attached to a user at a time. You need to create another IAM user for her to use for her to perform her DynamoDB activities. The Play with Docker classroom brings you labs and tutorials that help you get hands-on experience using Docker. In this classroom you will find a mix of labs and tutorials that will help Docker users, including SysAdmins, IT Pros, and Developers. There is a mix of hands-on tutorials right in the browser, instructions on setting up and using Docker in your own environment, and resources about best practices for developing and deploying your own applications. We recommend you start with one of our Getting Started Guides, and then explore the individual labs that explore many advanced features of Docker. For a comprehensive approach to understanding Docker, choose your preferred journey, IT Pros and System Administrators, or Developers. Learn more about Docker, how it works and how it can help you deploy secure, scalable applications and save money along the way. Let’s begin with Problem Statement ! DockerHub is a cloud-based registry service which allows you to link to code repositories, build your images, test them, store manually pushed images so you can deploy images to your hosts. It provides a centralized resource for container image discovery, distribution and change management as well as workflow automation throughout the development pipeline. We share Docker images all the time, but let’s agree to the fact that we don’t have a good way of sharing the multi-service applications that use them. Let us take an example of Elastic Stack. Built on an open source foundation, the Elastic Stack lets you reliably and securely take data from any source, in any format, and search, analyze, and visualize it in real time with the help of Elasticsearch, Logstash, Kibana and multiple other tools and technique. In order to build these tools in the form of containers, one need to start building Docker Image for each of these tools. The recommended way is constructing a Dockerfile for each of these tools. In turn, Docker Compose uses these images to build required services. Whenever the docker stack deploy CLI is used to deploy the application stack, these Docker images are pulled from Dockerhub for the first time and then picked up locally once downloaded to your system. What if you could upload your whole application stack to DockerHub? Yes, it’s possible today and docker-app is the tool which can make Compose-based applications shareable on Docker Hub and DTR. Docker-app v0.5.0 is now Available ! Docker Application Package v0.5.0 is the latest offering from Docker, Inc. You can download it from this link. The binaries are available for Linux, Windows and MacOS Platform. If you are looking out for source code, this is the direct link. The improved docker-app inspect command to shows a summary of services, networks, volumes and secrets. The docker-app push CLI now works on Windows and bypasses the local docker daemon by talking directly to the registry. The docker-app save and docker-app ls have been obsoleted. All commands now accept an application package as a URL. The docker-app push command now accepts a custom repository name. The docker-app completion command can generate zsh completion in addition to bash. In my last blog post, I talked about docker-app for the first time and showcased its usage soon after I returned back from Dockercon. 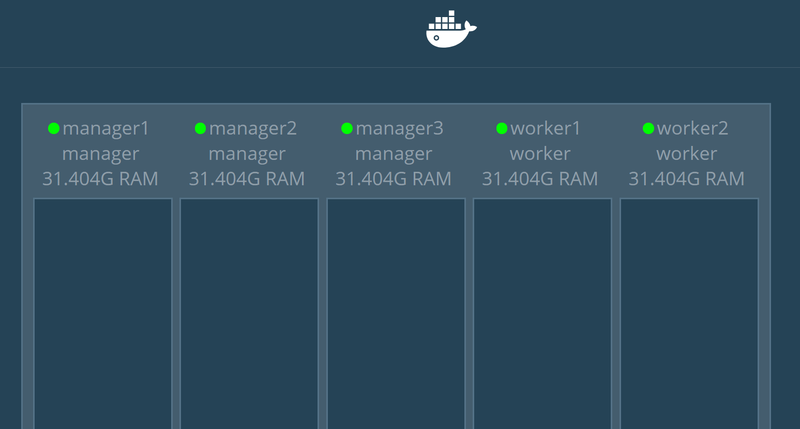 Under this post, I will show how I built Elastic Stack using docker-app for 5-Node Docker Swarm cluster. Cloning into 'app'...remote: Enumerating objects: 134, done. remote: Counting objects: 100% (134/134), done.remote: Compressing objects: 100% (134/134), done. remote: Total 14511 (delta 95), reused 0 (delta 0), pack-reused 14377Receiving objects: 100% (14511/14511), 17.37 MiB | 13.35 MiB/s, done. Resolving deltas: 100% (5391/5391), done. Edit each of these files as shown to look similar to what are placed under this link. Important Note: If you are using Docker-app v0.5.0, you might face issue related to pulling the image from Dockerhub as it report unsupported OS error message. Here’s a link to this open issue. This should bring up your complete Elastic Stack Platform. 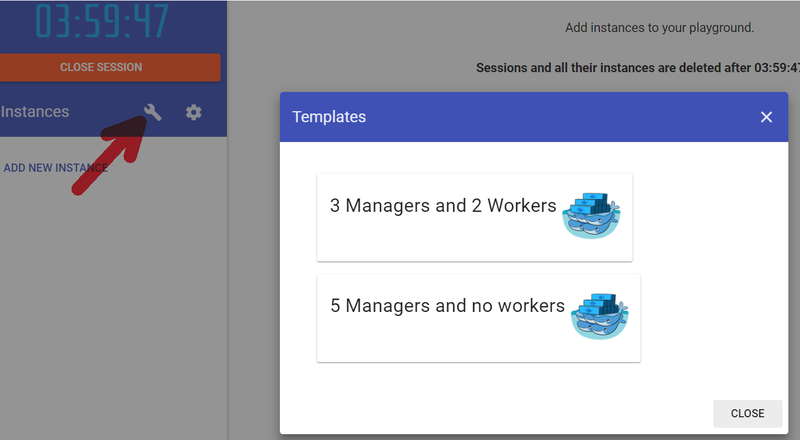 To deploy a containerized app, Jenkins needs to be able to interact with Docker. This means that Docker needs to be installed locally on the Jenkins server, and the Jenkins user needs to be provided with the permissions necessary to use that Docker installation. How to install Docker on a Jenkins server and configure the Jenkins user to be able to access it. 2.What are the basic building blocks of a Jenkins pipeline? 5.What is a Jenkins file? 6.What can you do in a Jenkins pipeline to pause execution and wait for user feedback? A. Implement an empty stage in the pipeline. B. Set a trigger in Jenkins to pause the deployment. D. Cancel the build in Jenkins. 8.What does the Publish Over SSH Jenkins plugin do? A. It notifies other servers of a build status using ssh. B. It downloads files from other servers. D. It allows you to execute Jenkins builds over ssh.